Do you know that tomorrow is National Doughnut Day? That means we have the perfect excuse to enjoy our favorite doughnut or at least get a free one from stores who celebrate this wonderful day! My kids love doughnuts (who doesn’t?) and can eat them everyday if I allow them to. They have begged me for the longest time to make some for them but I haven’t gotten the courage yet to try making them. I always felt I would mess it up and just end up with inedible food. But of course, you never know until you try so perhaps I should just conquer my doughnut-making fear in 2014 and attempt it once and for all. 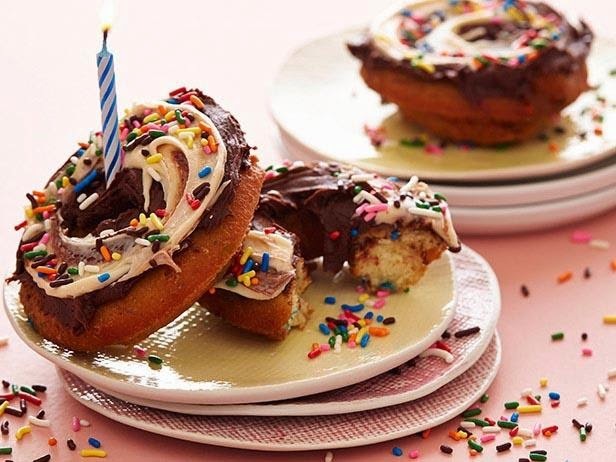 Thankfully, I recently discovered this amazing recipe for Birthday Cake Doughnut from Foodnetwork.com who kindly allowed us to re-print it here. When I read it, it didn’t seem to be complicated at all. Perhaps when my kiddies’ birthday come this October (yup, they were both born in October and are only 3 days apart!) then I can finally triumph over my fear of making doughnuts and make these for them. Am sure they’ll be over the moon! In the meantime, if you’re looking for a wonderful recipe to celebrate National Doughnut Day, then this is the perfect sweet treat to make! Enjoy! Trace twelve 3-inch circles on a piece of parchment paper, flip the paper over and line a baking sheet. Lightly spray with cooking spray. Fit a pastry bag with a 1/2-inch-round pastry tip. Whisk together the flour, confetti sprinkles, baking powder and 3/4 teaspoon salt in a medium bowl. Combine the granulated sugar and butter in the bowl of a stand mixer fitted with a paddle attachment (or in a large bowl if using a handheld electric mixer). Beat on medium-high speed until well combined, about 2 minutes. Add the eggs and vanilla and continue to beat until incorporated and pale, about 2 minutes. Adjust the speed to medium-low and add the flour mixture and milk in batches, beginning and ending with the flour. Continue to mix until smooth and well combined, scraping down the sides of the bowl as needed. Transfer the batter to the prepared pastry bag. Pipe the dough over the circle patterns on the parchment paper. Refrigerate while the oil heats up. Fill a medium Dutch oven or pot with about 2 inches of oil and bring to 340 degrees F over medium heat. Line a baking sheet with paper towels. Cut the parchment paper around each doughnut, leaving a border. Use the paper border to carefully place 2 doughnuts at a time into the oil face first, then carefully remove the paper with tongs. Fry the doughnuts until golden, turning, 1 1/2 minutes per side. Remove the doughnuts with a slotted spoon to the paper towels. Repeat with the remaining doughnuts. Cool completely. Store at room temperature in an airtight container up to a day in advance. Combine the cocoa powder, butter, vanilla and salt in the bowl of a stand mixer fitted with a paddle attachment (or in a large bowl if using a handheld electric mixer). Mix on low speed until combined. Add the confectioners’ sugar and milk, and continue to mix on low speed. Once the mixture is mostly combined, increase the speed to medium-high and mix until smooth. 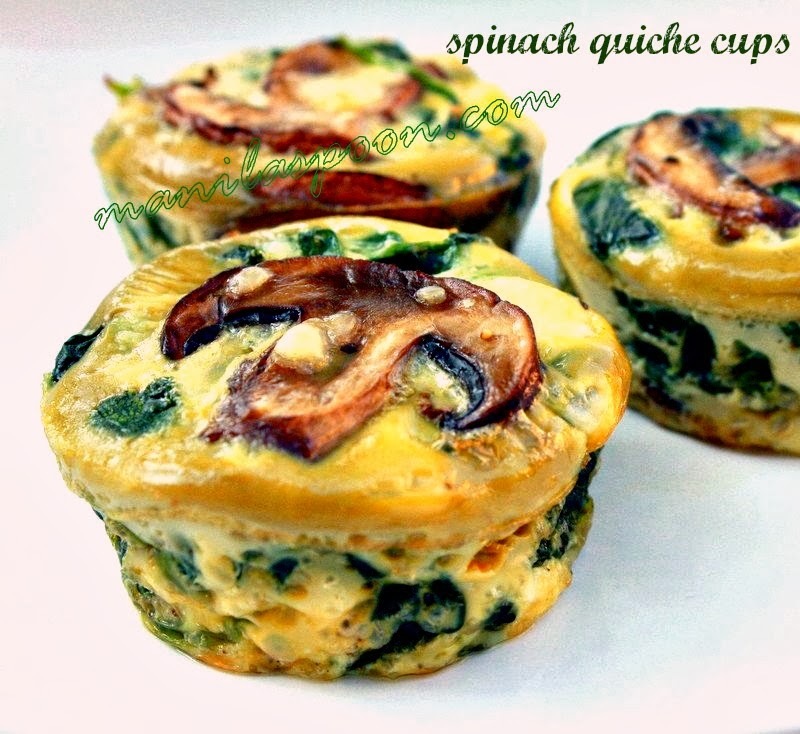 Use immediately, or refrigerate in an airtight container up to 3 days. Allow to come to room temperature and mix on medium-high until smooth. Combine the malted milk powder, butter, vanilla and salt in the bowl of a stand mixer fitted with a paddle attachment (or in a large bowl if using a handheld electric mixer). Mix on low speed until combined. Add the confectioners’ sugar and milk, and continue to mix on low speed. Once the mixture is mostly combined, increase the speed to medium-high and mix until smooth. Use immediately, or refrigerate in an airtight container up to 3 days. Allow to come to room temperature and mix on medium-high until smooth. Frost the doughnuts with your favorite icing, or a combination, sprinkle with confetti sprinkles and decorate with candles if using.